I have a friend who likes smoking, but no more than a few cigarettes a month. Obviously he possesses special DNA which makes him insensitive to the addictive elements contained in cigarettes. When I grew up in the 60′s everybody smoked, all the cool people did anyway. Both my parents smoked. They even smoked in the car when we went on holidays and teachers smoked at schools. At later age in some classes even students were allowed to smoke. Nowadays it might seem mad why people knowing all the health risks are still smoking. In most cases smoking lowers the day to day quality of life, but for many quitting isn’t as easy as it sounds. I’ve seen people falling back into the old habit after quitting for periods of five years or longer. A friend was diagnosed with lung cancer and had 1/3 of her lungs removed. Three months later she picked up the dirty old habit. I know an old guy who couldn’t quit and eventually was about to die. Even this wasn’t enough motivation to stop, but soon the birth of his first grandson was. He still loves the smell of tabacco and likes to sit in rooms where people are smoking. Ask him how long ago he quit and he will tell the number of days, which are over a 1000 now. There isn’t an hour he doesn’t think about smoking, so he says, but his lungs and his grandson prevent him from falling back. I seem belong to the group who didn’t find effective ways to quit yet. Even being mentally ‘fully’ prepared to stop, cold turkey or aided with nicotine patches or acupuncture, quitting usually lasted just a month or so. Since 2006 thanks to Chinese pharmacist Hon Lik there’s a healthier alternative. Smoking laptop? 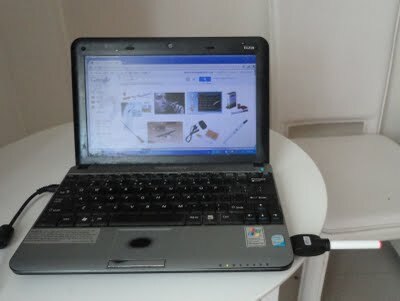 Use a USB to recharge batteries for the internal vaporizer. Despite the obvious health benefits as opposed to real thing, from the time they came on the market, there has been a lot of controversy about the next thing as good as smoking. Many countries however restrict the sales of e-cigarettes to certain extents. In a number of Western countries use or sales of e-cigarettes are not really restricted, but In some nations they can be obtained through doctors prescription only, similar for example like nicotine patches in Malaysia. In Singapore e-cigs are banned all together, since they are regarded as “an industry’s attempt to attract new users and were marketed to appeal to younger customers, including women”. Forbid all sales of tabacco products as well and let the new target group go and sniff glue, fascist c*nts. As far as I know here in Thailand e-cigs are currently illegal as well, the rumour goes that someone from the ministry of health minister is also the single producer of nicotine chewing gum. If true, how typical Tailand. Anyway, also typical for Thailand is that knowbody knows and nobody cares. 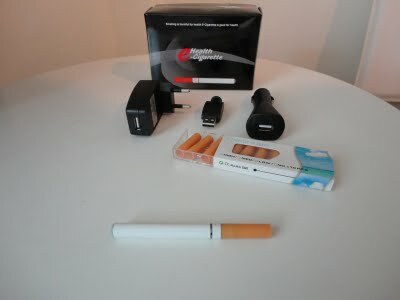 E-cigs can be found here in small electronic shops in larger cities or tourist territories, usually next to a shop which unlocks your cellphone. Price is between ฿500 (€ 12 / $16.20) and ฿600 (€ 14.41 / $ 19.44). I’ve seen Thai wholesale prices of $ 15.- so ฿500 seems reasonable. Cartridges with 10 butts with e-liquid cost ฿200 (€ 4.80 / $ 6.48). E-cigarettes surely work for me, in fact I like it better than the real stuff. Besides being basically able to smoke everywhere I want, like in the old days, e-cigs taste a bit like smoking a water-pipe, since you will inhale cold smoke where one can choose from flavours like mint, apple and coffee, to mention a few. Most people are not familiar with the device, so they just will think I’m smoking the real thing. Often I’m given an ashtray and get suprised looks when I hold the end, which is lit by a red LED after a puff, on my cheek or against my eye-lid. Just be sure to have a spare one, since when you run out of liquid or batteries, within the hour you will just be running to the nearest 7/11. I now bring the small USB charger with me as well, since the batteries as well as the vaporizer slowly wear off.